December 6, 2014. Rescue from the Hart, an animal rescue operation based out of Southern California, received a text message from a woman, Kay Buell, saying that she had found a sick dog wandering on the road. The dog could hardly stand because it was so weak. Buell brought the dog into the VCA Westlake Village Animal Hospital for immediate help. 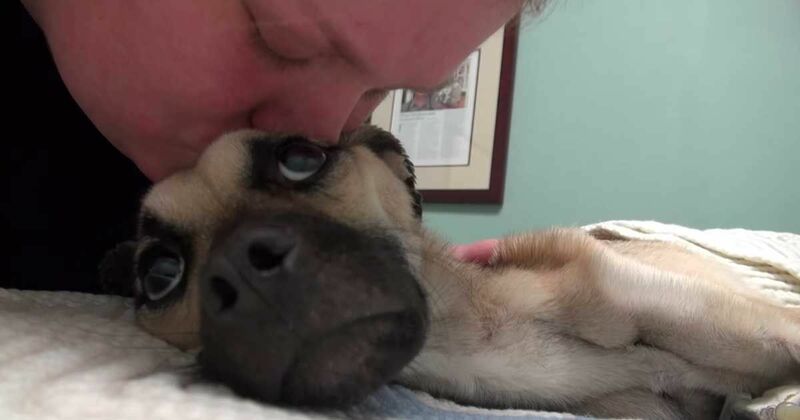 Kay Buell was a respected foster care provider for other animal rescues in the area and the hospital was grateful she'd found the lost dog. The dog was on the verge of death. She was severely undernourished and she needed a miracle to survive, so doctors named her Angel, according to Rescue From the Hart. Volunteers and doctors worked with Angel for the next five weeks. Watch the video and see how the caring attention of volunteers and medical staff helped her regain her health and her confidence through steady strength training and hand-fed meals. Thanks to the help of volunteers, Angel recovered well and even went on to be adopted. Unfortunately, the story takes a sad twist. In November of 2015, Rescue from the Hart reported that "Kay Buell," who was really Sherre Faught was arrested under suspicion of 14 felony counts of animal cruelty for starving more than a dozen dogs. Animal Control officers discovered a houseful of starving dogs on Faught's property. 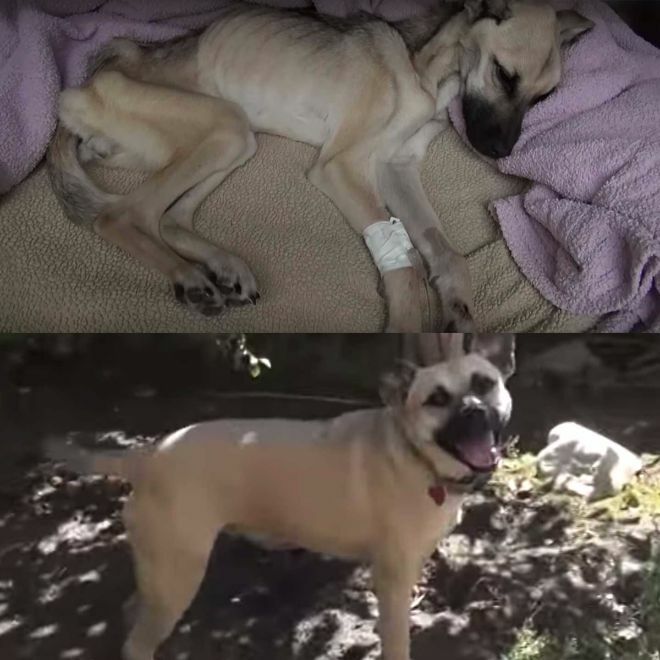 While Faught had bags of dog food and treats on hand, she was purposely starving the animals. One dog died on the way to the animal hospital and another dog was found deceased at the home, according to Rescue from the Hart. She was arrested in November of 2015. In April 2016 dozens of protestors from gathered outside of a California courthouse to show support for the animals abused by Faught. She stood trial in April 2016, according to The Daily Press. To date, only 9 of the 13 dogs discovered at her home are still alive. You can help stop animal abuse. Animal cruelty is illegal in all states and considered a felony in 46, according to the Georgia SPCA. If you suspect an animal is being abused, contact the local humane society or animal control department. Remember to note any details so you can offer a full report. Keep track of dates, times and details of the circumstances so you can provide animal control officers with enough information to pursue an investigation, Georgia SPCA recommends. Contact your local humane society for more information.